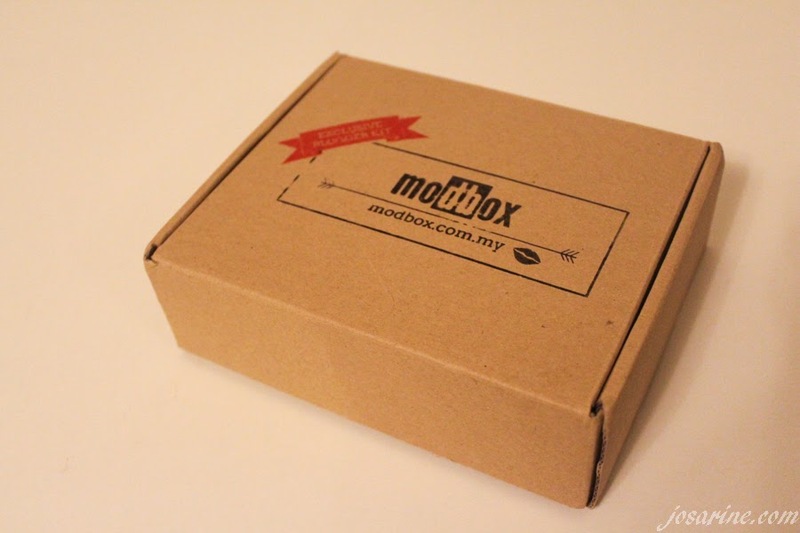 So recently I saw that ModBox is now only RM9? That is crazy cheap!!! 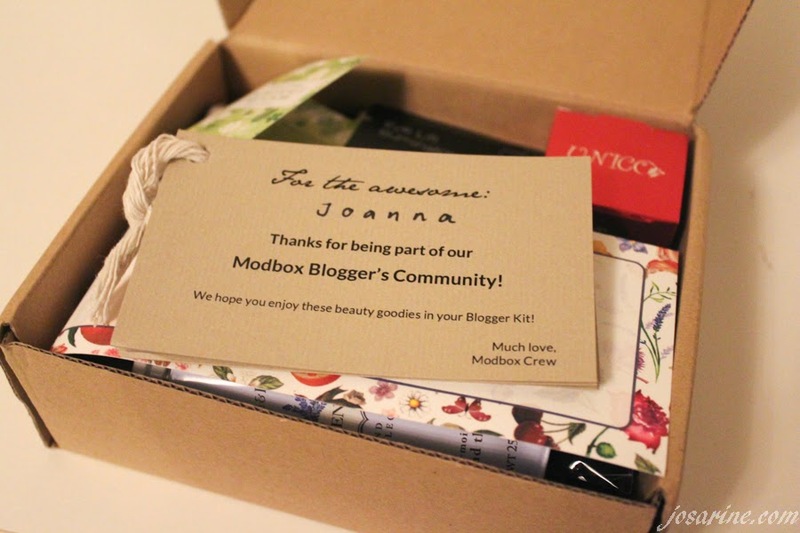 I still remember when I saw that promotion, it got me wondering what type of products ModBox would be giving for RM9? I mean postage is already RM6 to 7 for pos laju for west Malaysia. A creative and sweet thank you gesture from them. No more catalog on a card but creatively printed and tied together like the picture above. 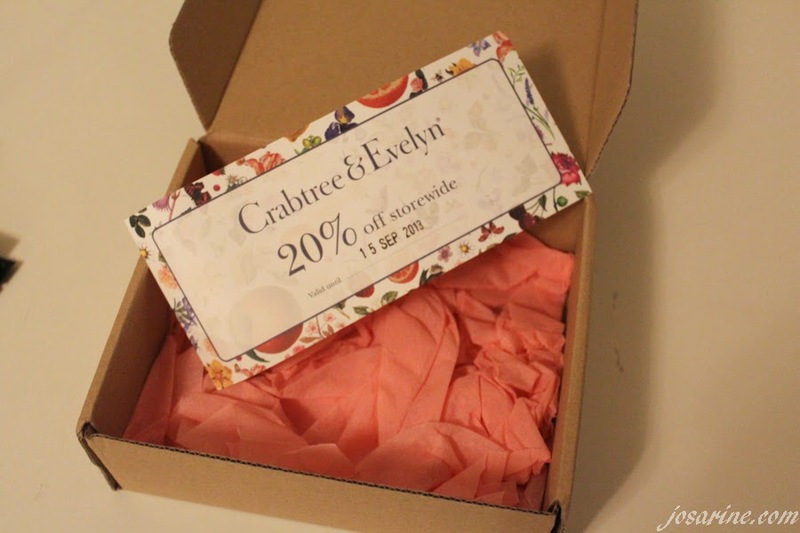 I'm not complaining, I kinda like this idea too, since most of the beauty boxes use card these days. gently dab the powder on clean and moisturized face, and layer more powder on areas that need more coverage. protects from both UVA and UVB rays effortlessly with its effective blend of UV filters. Side note: Can't wait to use this tomorrow morning before I head to work! 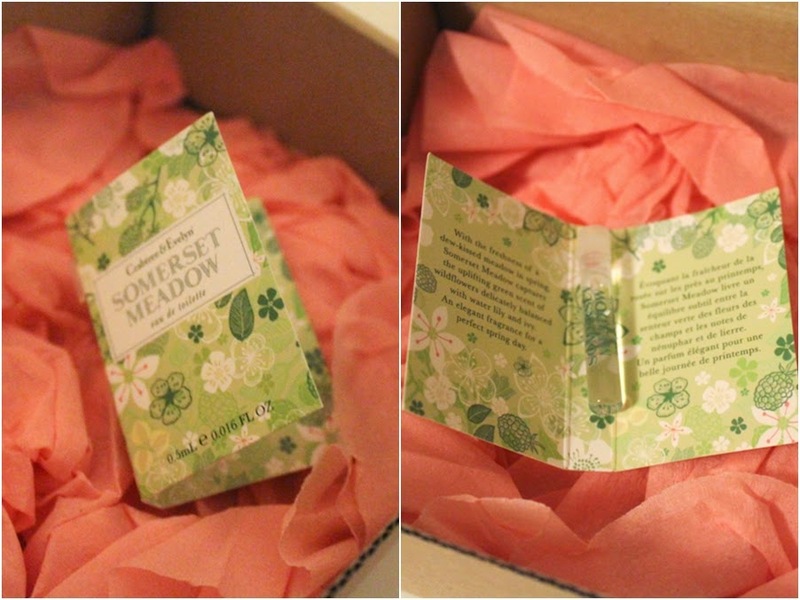 Crabtree & Evelyn Somerset Meadow Perfume! 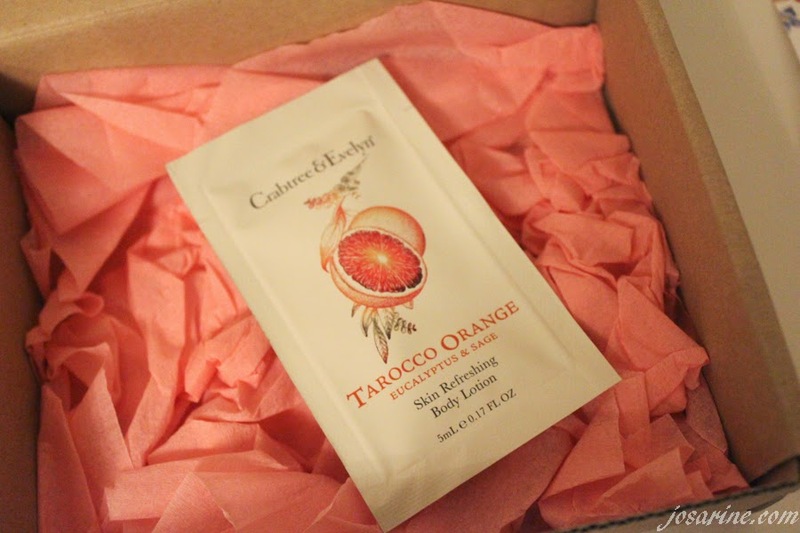 I think this body lotion is just an extra product in the box as there is no information on it. Anyways thanks for this! 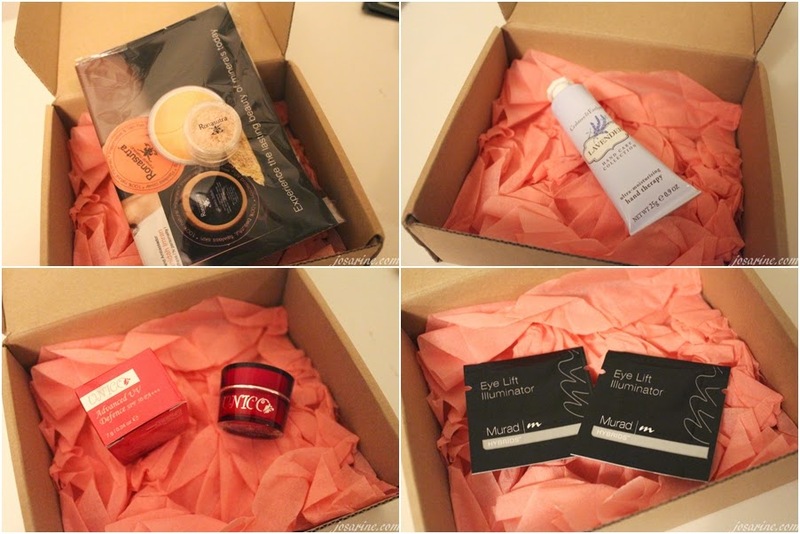 Thank you Modbox for sponsoring the August's box, it is lovely and again I say, only RM9!!! 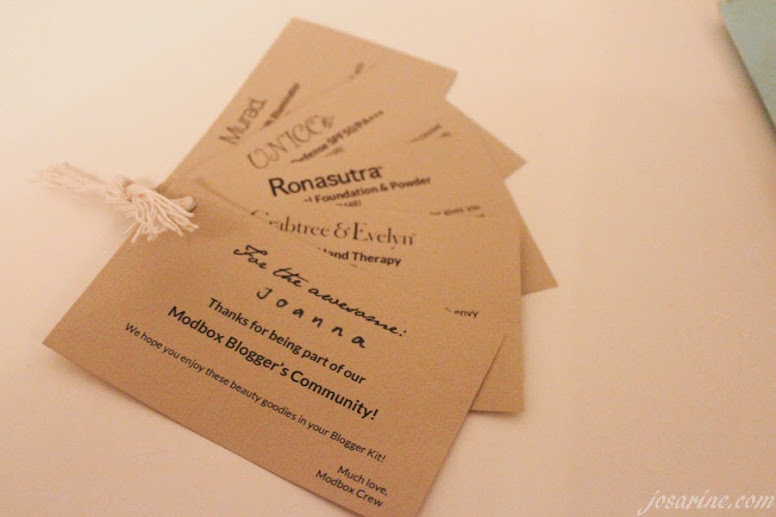 Visit www.modbox.com.my to sign up! WOW!! RM 9?? That's really cheap! Is this a temporary promo? darn good buy for RM9! Am certainly signing up for them!